Protect 1203 Hidden Bugs Wireless GSM 3G 4G Mobile, Spy Camera Detector with a Phone Finder Device Sweeper. This is considered one of the best counter surveillance devices in 2018. Protect 1203 is a new upgrade from previous versions. 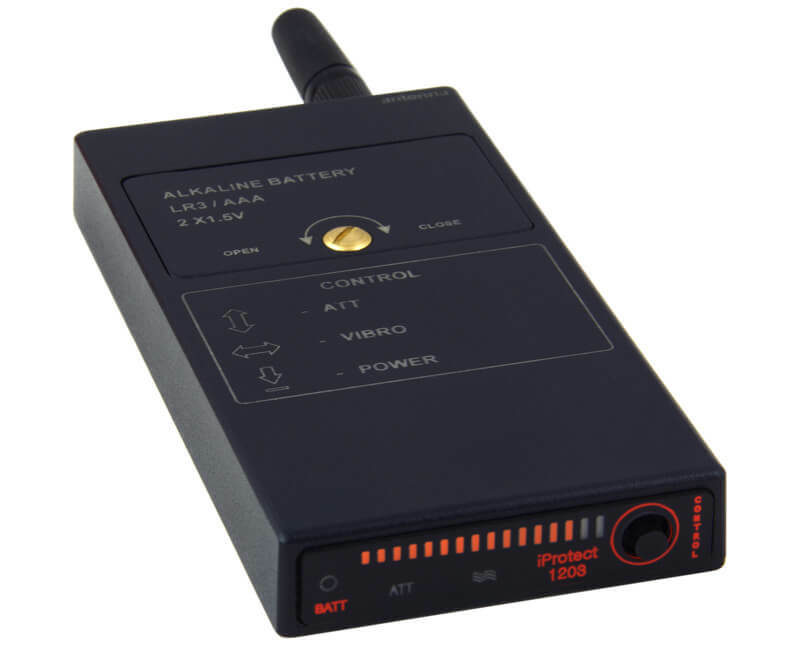 What separates this from the rest is text transmitting equipment from route radios and tells you with a bar graph that vibrates or silently alert you of interference and surveillance of your home property and conversations. Yes there a lot of the counter surveillance devices available on the market today. That is true but do you want something that you’re taking a chance on that may not pick up the activity that you want to pick up? You can get different information from either your workplace, home or even your vehicle. This type of bugging model has different ranges of frequency and a different modulation and scheme situation than a regular counter surveillance device. The Protect 1203 can detect all of these bugging And any detection devices in the vicinity well in an active phase will be detected. You can also detect human beings for bugs and transmitters that are carried on the body peep. You can covertly sweep the area using a vibrating device the small no one will know.It is constructed of Dura aluminum so if you drop it or it’s hot out, or it’s snowing you will not have a broken Protect 1203.